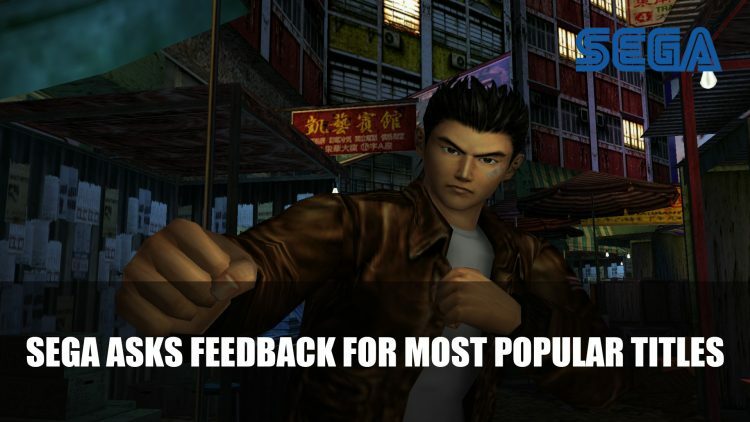 In order to gain feedback from Sega fans, the developer is now hosting a survey hoping to gain insight in what players for their most popular franchises. In a bid “to help us determine the next steps for some of our most popular series, including Sonic the Hedgehog, Yakuza, Valkyria Chronicles, Phantasy Star, and more” Sega are hosting a survey. While the questions are pretty standard asking the usual what consoles or devices you use to play games, whether you plan to purchase any new items in the next year, there are a few that concentrate on some of the most iconic titles in their series of games. They not only ask about whether fans want more content for these games but if they are interested in a remake, remaster or even sequel. By completing the survey Sega fans in America have a chance to win a gift certificate for the Sega Online Store, Nintendo eShop, Playstation Store or Xbox/Microsoft Store. Not a bad way to help Sega decide what to work on next, and for a chance to win something. You can sign up for the survey on the official Sega website, entries are limited to the United States. Out of the list Sega game do you think deserves a new entry or even a remake? Let us know in the comments below. If you want more Sega content be sure to check out our Vakyria Chronicles 4 guides. You can catch up on some of the latest gaming news in Google Reveals Their Cloud Gaming Platform Stadia and Bethesda Confirms Attendance For E3 2019.